Eighteen months after graduating in June 2016, a majority of Sciences Po graduates has decided to enter the labour market. Just as many graduates as in previous years have found a first job with a highly satisfactory salary. The total employment rate of 96% confirms the demand for our graduates among employers. 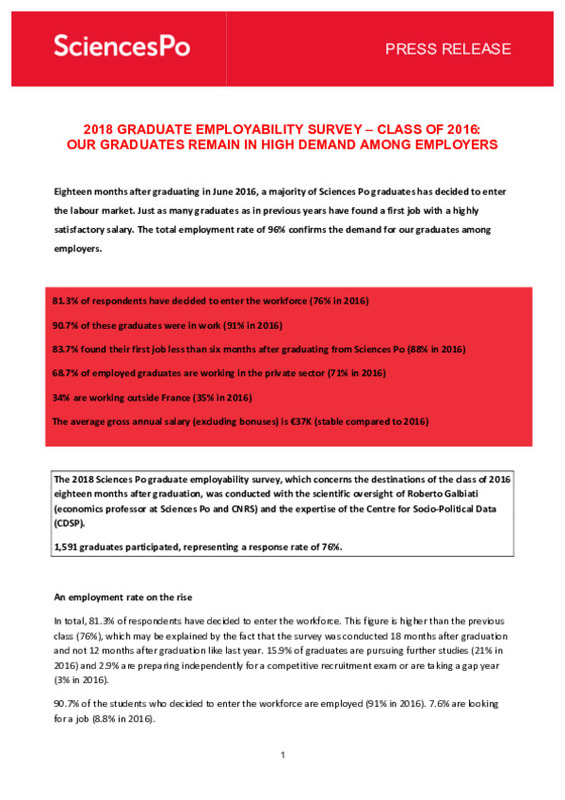 The 2018 Sciences Po graduate employability survey, which concerns the destinations of the class of 2016 eighteen months after graduation, was conducted with the scientific oversight of Roberto Galbiati (economics professor at Sciences Po and CNRS) and the expertise of the Centre for Socio-Political Data (CDSP). 1,591 graduates participated, representing a response rate of 76%. In total, 81.3% of respondents have decided to enter the workforce. This figure is higher than the previous class (76%), which may be explained by the fact that the survey was conducted 18 months after graduation and not 12 months after graduation like last year. 15.9% of graduates are pursuing further studies (21% in 2016) and 2.9% are preparing independently for a competitive recruitment exam or are taking a gap year (3% in 2016). 90.7% of the students who decided to enter the workforce are employed (91% in 2016). 7.6% are looking for a job (8.8% in 2016). Note that 59.67% of the respondents who said they were looking for work have already had a job since graduating from Sciences Po, which takes the employment rate to 96%. The time it took to find a job remained stable: 84% of graduates found a job in less than 6 months (88% in 2016) and more than 39% of employed graduates found their first job before graduating (stable compared to 2016). The proportion of stable jobs (permanent contract, civil servant or public sector contract staff) increased compared to previous classes, from around 65% to 72%. Similarly, the proportion of fixed-term contracts decreased from around 20% to 12%. The average gross annual salary excluding bonuses increased slightly from €36,560 to €37,164 compared to the class of 2015. The average salary was higher abroad than in France. Overall, the distribution of jobs by sector has changed little. 69% of employed graduates work in the private sector (compared to 71% in 2016), 22% in the public sector (21% in 2016) and 9% in an international organisation (compared to 8% in 2016). 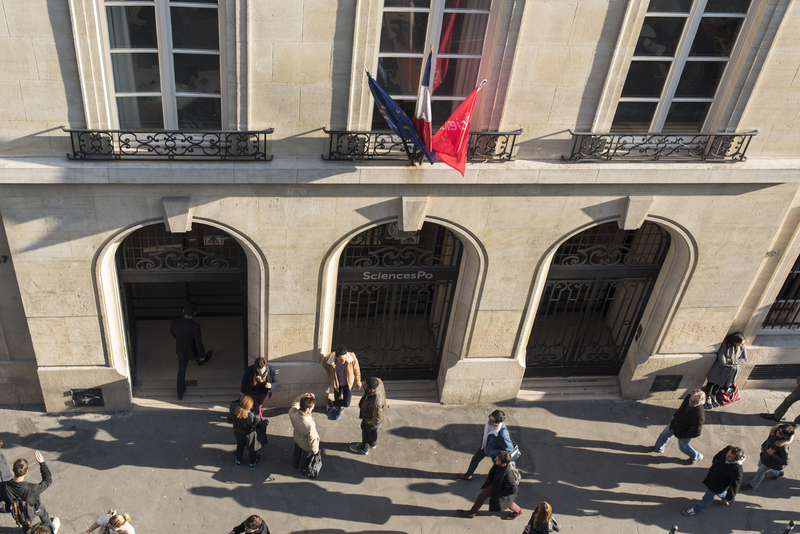 The class of 2016 has again confirmed the wide range of job opportunities open to our graduates, reflecting the goal of diversity that Sciences Po pursues through its seven graduate schools. Graduates hold positions in sectors such as Audit/Consulting, Public Administration, Banking/Finance/Insurance, Industry/Energy/Transport, Marketing/Communication, NGOs/Associations, International Organisations, Publishing/Journalism, Education/Research, Urban Planning/Regional Development, Commerce/Retail, Culture/Cinema, and Law. This year the survey included a new sector, Technology, Data, Computing, which employs 3.1% of graduates. 34% of respondents reported working outside France. They are employed in 76 different countries. This high level of internationalisation is partly due to international students returning to their home country, but also to the 22.7% of French students who find their first job abroad. Differences between women and men graduates in the time taken to find work and the quality of first jobs are fairly small. Women students tend to pursue their studies slightly less than men and this is reflected in a higher employment rate (61% compared to 59% for men), but also in a higher proportion of women looking for work (9% compared to 6%). The time taken to find a job is very similar between the sexes. Despite these rather small differences, pay gaps exist. The gross annual salary for female graduates is 15.6% lower on average than that of male graduates (the difference is similar when bonuses are added). These differences in compensation may be partly explained by different choices of graduate school and sector of employment. For instance, 12.6% of men who answered the survey graduated with a Master’s in Management, Organisational Behaviour or Finance from the School of Management and Innovation, and 37.5% are graduates of the School of Public Affairs, compared to 10.1% and 25.2% of women respectively. In contrast, women students opt in greater numbers for the Paris School of International Affairs (about 30% compared to 18% for men). These academic differences go on to affect the choice of employment sector. The high-paying sectors of Banking/Finance/Insurance and Audit/Consulting respectively attract 12.3% and 24.3% of employed male graduates compared to 6.8% and 19.4% of employed women graduates. In contrast, about 10% of female graduates go into the NGO and associations sector, compared to only 3.3% of men. For the same school, employment sector, type of employment contract, sector (public, private or international organisation) and world region, women are paid 9% less on average than men (excluding bonuses) and 8% less including bonuses. Sciences Po runs a series of initiatives throughout the year designed to help reduce the pay gap between men and women, including workshops to promote gender equality (assertiveness/self-assertion, salary negotiation, work-life balance, public speaking, etc.) put in place three years ago, round table discussions and lectures. In April 2018, Sciences Po also launched the Women in Business Chair, a new teaching and research chair with the aim of developing and scientifically evaluating initiatives to reduce the barriers women face in their careers. Students having completed a programme under an apprenticeship contract have considerably different employability outcomes from other graduates. They are more often in work and are half as likely to pursue their studies. They are also quicker to find a job, with more than 56% of them hired before graduating, compared to 37% for the rest of the students. The vast majority go into the private sector (91%). Sciences Po graduates with a disability do not seem to have any particular difficulty on the labour market. Of the 19 students with officially recognised disability status (RQTH) who responded to the survey, only one is actively seeking a job and one other did not indicate their professional situation. Nine students are employed (seven in the private sector) and five are pursuing their studies. They are mostly employed by large companies. Their pay is similar to that of other graduates (or even higher) with a gross annual salary excluding bonuses of €39,000 on average (median: €38,000) and gross annual compensation including bonuses of €41,144 on average (median: €40,600). 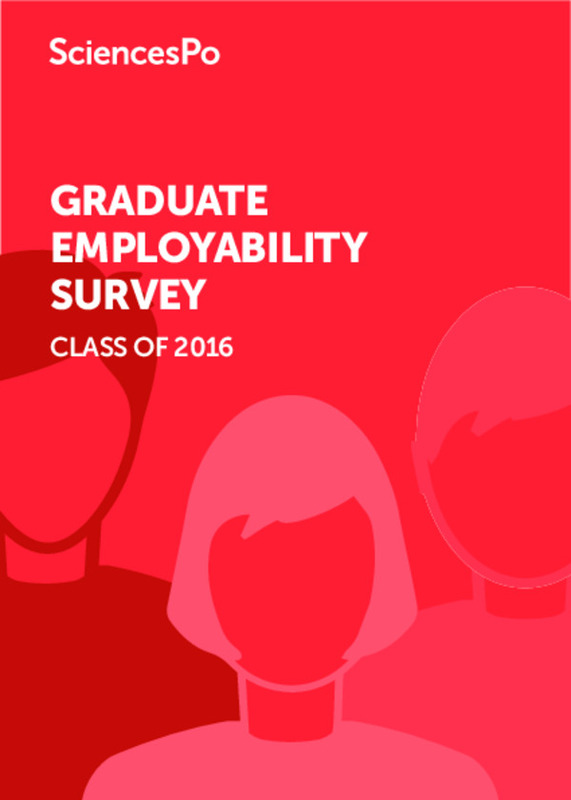 This improvement of graduates’ employment conditions may be partly due to the survey being conducted later than for previous classes. It suggests that many graduates are able to move quickly from precarious contracts into stable jobs after a year working.